FTC offers a choice of specialty grips for securely locating samples under tension that are in the form of thin films or wires, strands and filaments. 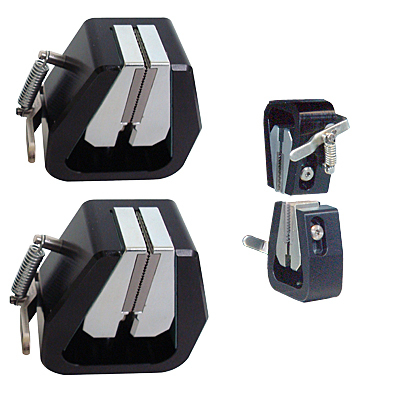 The large size are rated up to 5 kN with the ability to grip samples up to 10 mm think. The smaller sized grips are rated to 1 kN, with a jaw capacity of 5 mm. Heavy duty wedge grips used to hold sheeted samples up to 10 mm thick with a maximum width of 30mm. Ideal for reconstituted meats, confectionary, pastry etc. Rated to 5 kN. 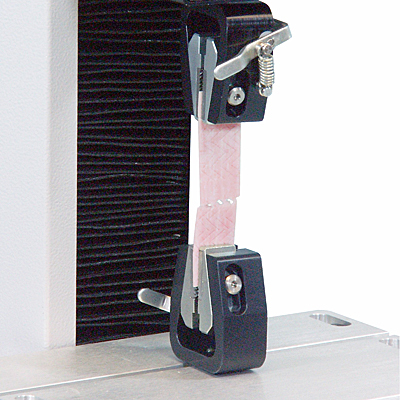 Light duty wedge grips used to hold sheeted samples up to 5 mm thick with a maximum width of 15mm. Ideal for chewing gum, confectionary fibres, meats etc. Rated to 1 kN.